GLWL Research is now recruiting patients for its Phase 2 study to evaluate the efficacy, safety and pharmacokinetics of GLWL-01 in the treatment of patients with Prader-Willi syndrome. The study will compare the effects of GLWL-01 on hyperphagia as compared to a placebo. You can learn more about GLWL-01 click on button below! Sign-up to participate to a walk! OUR One SMALL Step GOAL in 2018 is to raise $280,000 for PWS research. Help us help our kids and loved ones with PWS. Contact us today. 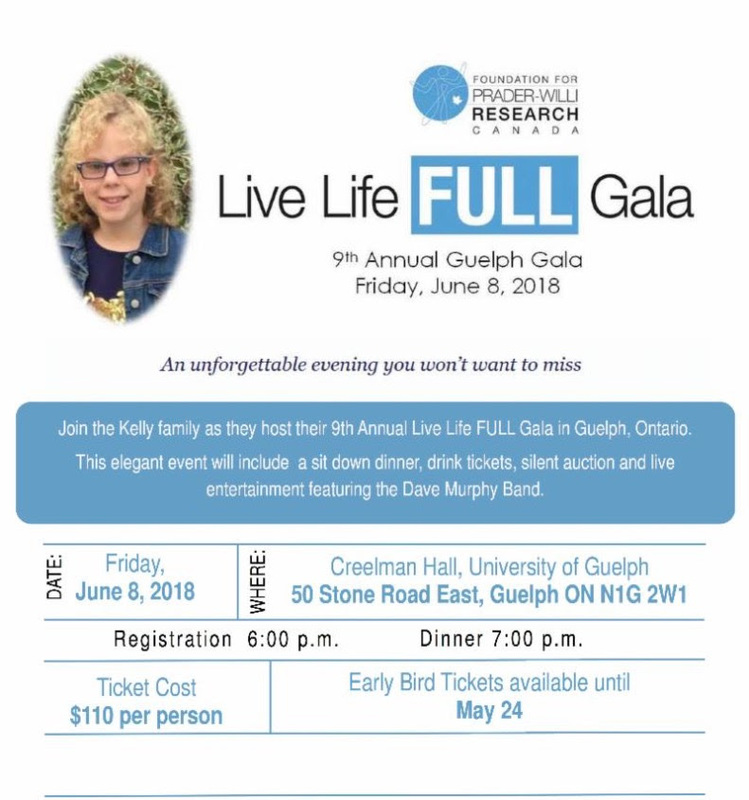 Jack and Belinda Jones are hosting their OSS in Brampton, Ontario on May 27. 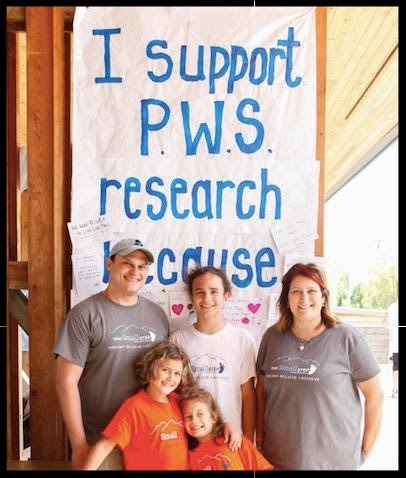 Click on the picture below to read what inspires them to host a walk for PWS research every year. Jack Jones, President, FPWR Canada is pleased to extend a special welcome and congratulations to FPWR Canada’s inaugural university chapter – the McMaster Chapter – FPWR Canada. The application and background work to initiate this Chapter was completed by Nickrooz Grami, Health Sciences student, McMaster University. 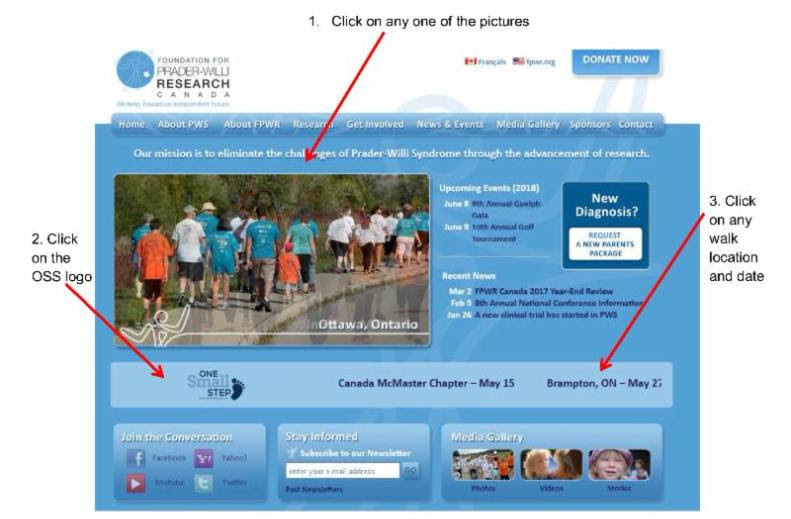 In past years Mr. Grami had participated in the One SMALL Step event, and, from his contact with PWS families developed a keen desire to support the fundraising and education efforts of FPWR Canada in alleviating the challenge of Prader-Willi Syndrome (PWS). It is through his dedication and commitment the first FPWR Canada university-based chapter was approved. Thank you Nickrooz Grami and the McMaster Chapter for your support! The Chapter has planned its first official One SMALL Step event mid-May 2018 at McMaster Campus. Watch for additional details. 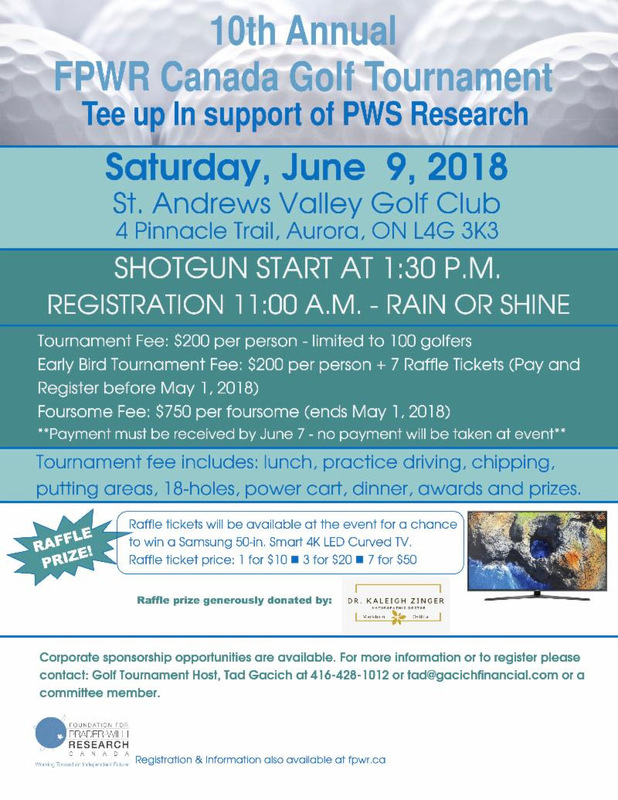 Irene O’Donnell-Russell and Amber White are hosing the2nd annual Owen’s PWS – Hungry For A Cure Dart Tournament on Saturday, May 26. Once again it will be singles and doubles at $10.00 each. Breakfast will be included for the folks playing singles and lunch for those playing doubles. Sign up and pay in advance for a chance to win an LCBO gift card. Sign up between 9 and 9:30 – games to start at 9:45 for singles. Sign up for doubles 11:30 play at noon. Please contact Irene at….email address here for more information. Amber White and her family are hosting a dance on Saturday, June 9. Tickets are 1 for $15 or 2 for $25, the event will include games, raffles, toonie toss, food and of course dancing. Amber and he family have raised $20,000 the past four years. They are HUNGRY for a cure for somebody they love. Please join them again this year as they dance the night away. 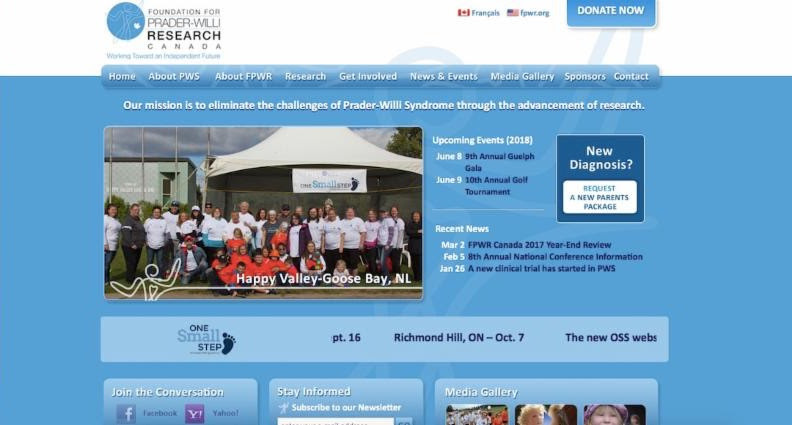 Brooke Gibson and her team are preparing the Second Annual Charity Golf Tournament for The Foundation for Prader-Willi Syndrome Research (FPWR) Canada. 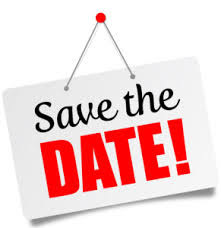 The event will be held on Saturday, September 8 at Lakeside Greens, Chestermere, Alberta. This will be another amazing event filled with golf, food, friends and fun. Whether you’re an avid golfer or just want to help a great cause and have fun in the process this event is for you. Watch for more details to come over the next few weeks…..but mark your calendars and tell your friends!